A cross-disciplinary studies minor (CDSM) is the result of a partnership between two or more target major programs. It is defined as a set of curricular requirements comprised of coherent groups of courses tailored for each partner program such that all students from target majors develop (1) depth in the partner discipline, (2) focused study in their own discipline, as well as (3) focused study in the mutual domain of the minor. The curricular requirements are the same for all students in the CDSM. The total number of units in the CDSM that cannot be covered by the requirements of the student’s major shall not exceed 24 units. The CDSM curriculum shall require at least 12 units of coursework that cannot be covered by the requirements of the student’s major. 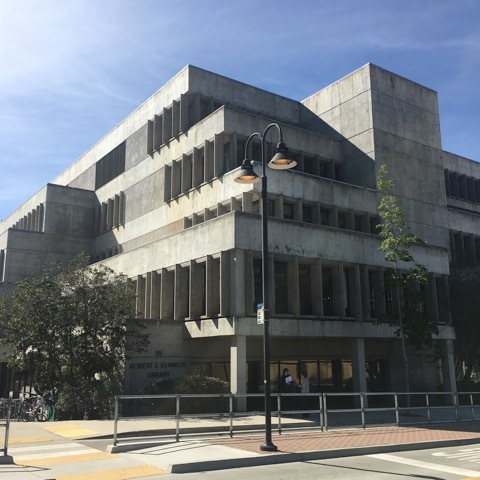 At least half of the units must be from upper division courses (300- or 400-level) and at least half of the units must be taken at Cal Poly. Not more than one-third of the courses in an CDSM can be graded Credit/No Credit (CR/NC), except for courses that have mandatory CR/NC grading. A minimum overall 2.0 GPA for all CDSM required coursework is needed for completion. The CDSM will be completed along with the requirements for the bachelor’s degree. Each partner major department will have a CDSM faculty/staff advisor. Students who wish to complete a CDSM are to contact the CDSM advisor in their home department as early as possible and fill out the appropriate agreement form. Each CDSM will have a program coordinator who will be responsible for coordinating curriculum changes both within the minor as well as changes in the target majors that may affect the minor. The CDSM is formally declared when the student requests a graduation evaluation in the Evaluations Office; however, students should seek advisor approval early in their program to ensure timely graduation. The completion of the CDSM will be noted on the student’s transcript, but will not be shown on the diploma. In no case will a diploma be awarded for the CDSM.